At Unity of Tustin, we reach out and help those in need. Through generous giving of time and resources, our intention is to offer support as a community. Currently, Unity of Tustin selfless servers staff St. Paul’s (Episcopal Church) “Sunday Supper” every fifth Sunday of the month. On these days, we provide, prepare and serve food for close to 100 people. This is partially funded through our Souper Bowl of Caring collection at the beginning of the year. We also have “Green Bag Sunday” several times a year, collecting canned/packaged food that is offered in the ‘grocery line’ following each Sunday Supper. We support the Tustin Boys and Girls Club with a backpack drive at the beginning of each school year. 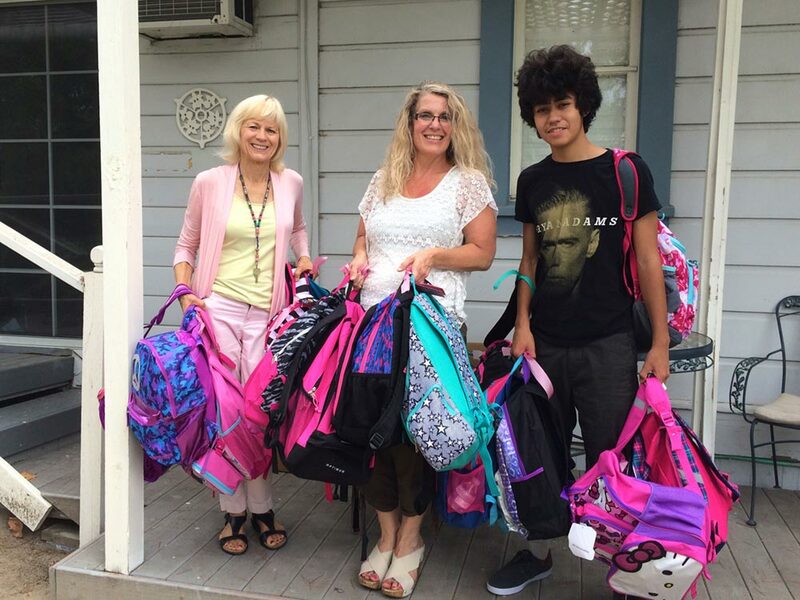 Members of our church purchase backpacks and school supplies to fill them, then deliver them to the Boys and Girls Club. We continue to look for other ways to give back to our neighbors. Our Outreach Team continues to be involved in the Orange County Food Project. 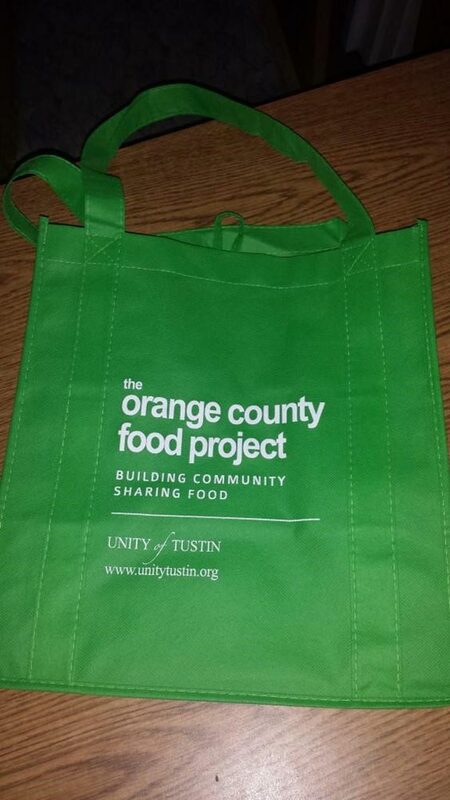 OC Food Project donors who want to participate receive a reusable green bag from a team member on the patio. Each time you go to the supermarket, buy extra nonperishable food items to store in the green bag. Every two months on the 2nd Sunday of the even month bring your bag of food to Unity of Tustin between 8:30 and 11:15 a.m. You will receive another green bag to fill. The donated food is boxed and delivered to nearby St Paul’s Episcopal Church. Over 140 people – seniors, families with children, men and women who live on the street – enjoy a weekly Sunday Supper. St. Paul’s, in conjunction with three other neighborhood churches, serve 140 nutritious meals each week. Each guest leaves with a bag of groceries from your OC Food Project contributions. Food items must be within the expiration date and are recommended to be lightweight for carrying in backpacks, and easily prepared by someone with minimal access to a kitchen. A list of suggested foods is provided in the green bag together with the next donation date. For more information about participating in the project or serving on the team, please contact our Outreach Team at ocfoodproject@unitytustin.org or call 714-­730-­3444, ext. 105.